You know that feeling where you’re jamming to music too hard and you rip your headphone cord right out of the socket and then your whole office can hear that you’re listening to Genesis’ “Invisible Touch” at full volume? It’s an all-too-common problem that the folks at Sennheiser hope to address head-on with their Urbanite XL wireless headphones. With Bluetooth and built-in touch pads, the Urbanite XLs allow you to have a wireless listening experience that should save you from any future embarrassment. If you’d like to try them out for yourself, The A.V. Club and Sennheiser are giving away a brand new pair to one lucky winner. For your chance to win Sennheiser’s Urbanite XL wireless headphones, simply send an email to avcontests@theonion.com with the subject line “Urbanite.” Be sure to include your name and address in the body of the email. U.S. entrants only. We’ll select one winner, at random, from eligible entries on Wednesday, June 10 and notify them via email shortly thereafter. 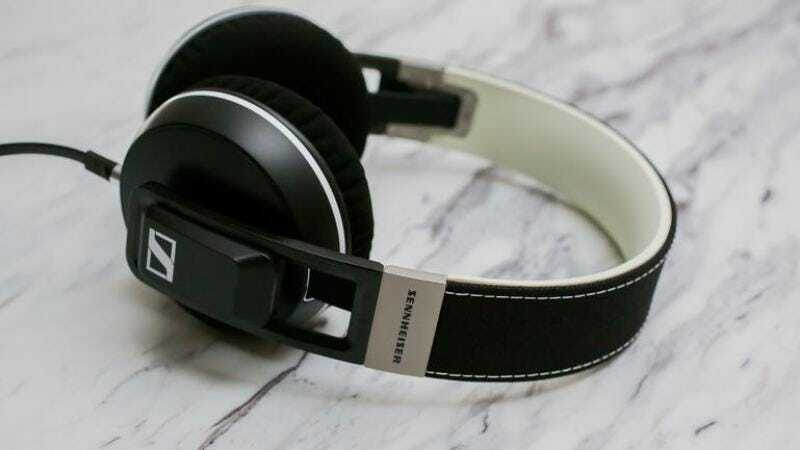 Estimated retail value of Sennheiser’s Urbanite XL wireless headphones is $299.95.